Which sounds more like your approach to marketing your network marketing business? You give as many strangers as possible the opportunity to say No to your business opportunity presentation. Doesn’t necessarily matter who these people are. You’re not concerned whether these people are interested in what you have to share with them. In fact, they might not even anticipate your presentation, or your email, or your call. You have honed your message directly toward the interested individual, and you ask for permission to continue with what you could consider a “curriculum” that teaches and informs about an issue you know they would like resolved. 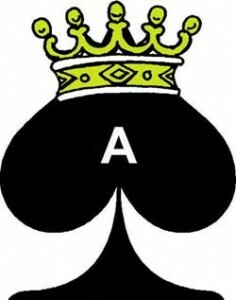 You don’t have to see yourself as the manual filters lifting up the proverbial rocks until you get the Ace in the Hole. Optin Marketing makes that entire process much easier. This post explains what Optin Marketing is and how it can help you with your marketing. After all, when you get right down to it, marketing is our real business. Collecting as many No’s as you can throughout each and every day of your life won’t ever keep the attention of your prospect. It’s literally a dead end straight to No. It’s a one shot expense of your time (or money or both) that can’t be leveraged now or later. Yet when you are given permission to continue (hence, they choose to “optin”)and deliver on the “curriculum” they know is coming, you earn more of their attention. They’re even thanking you. Seeking the optin with your marketing actually takes advantage of all the dead end No’s. In our current culture of constant interruption, clutter, noise and saturation – the marketer that keeps the attention of their prospect the longest is the most profitable. Optin marketing is creating any page on your website where you’d send web traffic to specifically prompt permission to continue delivering information (hence the term “curriculum”) that is congruent with the information on the website. Basically it’s an agreement. They like the content your web page, and they like what you are offering to give them for free in exchange for their permission to continue providing similar content and making similar offers. It’s this permission that builds trust. It’s this follow up that creates a bond. And since this follow up is usually via email, you have their utmost attention. Email can lead to the phone, and if the person is local, the phone could lead to a face to face meet up. You pay for traffic setting up a pay per click (PPC) search marketing campaign (think Google AdWords) to a special page –most commonly called a landing page – that correspond with specific keywords that a person using a search engine would type in as a search query. Likewise, your articles and blog posts can show up in the organic search results (not pay per click) that relate to a term the searcher has typed in the search engine. When they click and read the article, you can put a link in that article that takes them to your landing page that asks for the optin. Traffic can be sent from a link in an email to a landing page designed to prompt an optin. Traffic can be sent from a blog post to a landing page. There are literally hundreds of ways to send traffic to your landing page. How to send traffic to a specific web page is a conversation for another day. Is This Too Hard for Average Network MarketersTo Do? The mindset some MLM uplines offer is to go through 100 “no’s” to get a “yes”. So you are a manual filter lifting up the proverbial rocks until you get the Ace in the Hole. You lift up a hundred rocks until you get your “ACE” – the star player who’s going to blow it out of the water for you. You just keep hunting and pecking. This can work (or it doesn’t). Optin marketing is a more strategic way… If you enjoyed this post, share it. Have questions or thoughts? Use the comments area. No, but we understand that any kind of transition without any form of guidance and support is hard – be it weight loss, growing your business, changing your hair color. Of course you can do it, but having someone to give you short cuts, guidance, and push you forward is valuable. That’s what the Marketing Tips for Network Marketers series is for. We’ll be making other offers and suggestions in the future that will help you with this too. Figure out how much is a new customer immediately worth to you, and how much that customer will be worth if you kept them for three months, six months, a year … forever. You’ll want to compare your customer value to the cost you might incur in the process of gaining the optin. Create and build a series of communication. This is the “curriculum” you will set up for them. This can be a series of emails, links to your blog, letters, phone scripts, videos and so on and so forth. You get to create this follow up curriculum any way that you want to. The communication takes place over time. You will set it up so that one email is immediately sent after the optin, then an email every day for seven days. Then you might send one per week, etc. Be thoughtful of your prospect. If you want a specific response (such as I want to join your business, or I want to purchase your product) you must give them a selfish reason for doing so. What’s in it for them? Include a final call to action. Let the prospect know what they’re supposed to do. Moreover, this is the ultimate way to measure your results and make more money. If you’re not using optin marketing already, you should start. If you’re giving as many strangers as possible the opportunity to say No to your business opportunity presentation then it’s likely you’re bothering people. Think of the use of optin marketing to gathering as many No’s as you can like the difference between a hunter and a farmer. Hunters shoot until they hit something. Unless they don’t know what they’re aiming at, and if you’re not concerned whether your target is interested in what you have to share with them then you may NEVER hit the bull’s-eye. Farmers on the other plant, water and harvest, and it gets more predictable with a consistent focus and regular effort. Once you get good, you can plant more and more seeds, and harvest more and more crops. Using optin marketing is the difference between being a hunter and a farmer. Share this with one other person. Follow up with someone who is struggling with how to market their network marketing business. Then work on this exercise with them. Great post Eric. Lately I’ve been confused as to whether I should be spending the majority of my time continuing to work on and build my online presence (videos, blog posts, articles) so that eventually I have enough people coming directly to me because of that OR just talking to people on Facebook for example, trying to help, and eventually send them to landing pages that can help. Very professional post. I like the farming scenario much better than hunting. 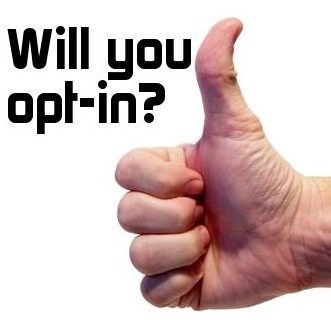 Opt in marketing does seem like the right way to go about building relationships and trust with people online. Wonderful post. Encouraging. Helping me to get acclamated to success. I certainly like the opt-in strategy. Seems like it would take quite some time to create, write, or edit multiple blogs for content to attract people. Perhaps you can tell me the advantage of the Renegade Mkter as compared to MLM Blueprint, Lead Net Pro, Magnetic Sponsoring, Attraction Mktg. and Frank Kern’s program. I’m having difficulty finding enough time evaluating all of them. And where does Bill Anderson, who seems very knowledgeable, fit into your organization?Thank you in advance for your reply. That’s some good info. I think what people also need to understand is it’s the everyday constancy that gets you the end results that you are after. In the beginning it will look like it’s not working, but it’s doing it everyday that will get your list from 10 to a 1000, get your site ranked higher and get people coming back for more. But, for even for people who do understand this it’s good to be able to read a post like this to keep them pushing. Thanks for the info.